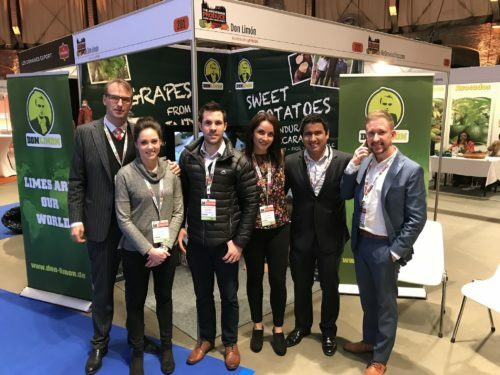 Throughout the past year (2017) we had the opportunity to partake at different fairs all around the world: The Fruit Logistica in Berlin, the London Produce Show and Conference, the PMA Fresh Summit in the USA the Fruit Attraction in Madrid and the Amsterdam Produce Show and Conference. We enjoyed meeting old friends and new ones! Of course, every fair had it´s own personality and was special in its unique way. At these fairs we had the possibility to develop new contacts, knowledge and to get inspired by the other exhibitors. The PMA Fresh Summit stood out with over 1000 exhibitors and 19,500 attendees from all over the world, which made the PMA an unforgettable experience for us. The highlight at the Amsterdam Produce Show, which took place between the 15th and 17th of November 2017 at the Westergasfabriek in Amsterdam, was the unique combination of a fair combined with seminars and an excursion to a local university. The London Produce Show and conference followed similar program layout. Throwback to our last Fair in Amsterdam, with our lovely Don Limon Dancers! To start the new year right we will take part at the leading global fruit and vegetable fair: Fruit Logistica, based in Berlin. This fair will take place between the 7th and 9th of February, 2018. We are looking forward to meeting you there! Please inform us if you will be there and we’d love to set an appointment.